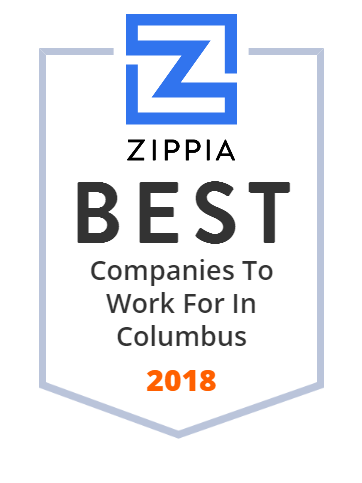 We hand-curated a list of the best companies to work for headquartered in and around Columbus, OH using data on salaries, company financial health, and employee diversity. The government of the State of Ohio consists of the executive, judicial, and legislative branches. The legislative branch makes laws, the executive branch administers laws and the judicial branch interprets and enforces laws. The State provides a full range of services that include education, transportation, law, regulation, and public libraries. Manufacturing, financial activities, and tourism mostly contribute to Ohio's economy. Established in 1935 as a car insurance company, today Grange Insurance offers affordable and customizable auto, home, life and business insurance products. It sells its products through independent agents to customers across 13 states. Grange offers options that are customized for every customer needs and its independent agents ensure excellent customer service. DSW, Inc. (Designer Shoe Warehouse), is an American footwear retailer of designer and name brand shoes and fashion accessories with over 500 stores in the United States and an e-commerce website. Based in Columbus, Ohio, Hexion Inc. is the global leader in thermoset resins. Since 1899, Hexion has been using chemistry manufacturing to make the world better, safer, and cleaner. Its products can be found in oil and gas; coatings; construction; transportation; wind energy; automotive; and other industries. Hexion is a global manufacturer that has over 60 facilities worldwide. Nationwide started as a small mutual auto insurance company in 1925. Today, it is a Fortune 100 company that offers a full range of insurance and financial services across the country such as car, motorcycle, homeowners, pet, farm, life and commercial insurance. It also provides annuities, mutual funds, retirement plans and specialty health services. Huntington Bancshares is a bank holding company headquartered in Columbus, Ohio. American Electric Power (AEP) is a major investor-owned electric utility in the United States of America, delivering electricity to more than five million customers in 11 states. Red Roof Inn is a leading budget motel chain that opened its doors in 1972 in Columbus, OH. Its portfolio of brands includes: Red Roof Inn(r) and Red Roof PLUS. (r), The Red Collection(tm), and HomeTowne Studios by Red Roof. Red Roof has more than 580 properties in the US , Brazil and Japan that provide new comforts to all travelers, at an economical price. Big Lots, Inc., based in Columbus, OH, is a community retailer operating more than 1,400 Big Lots stores in 47 states. It offers products in various categories - furniture, food, decor, mattresses, electronics, toys, and much more. Its mission is to be the best retailer in the community and provide friendly service. Big Lots supports the communities it serves through the Big Lots Foundation, a charitable organization focused on four areas of need: hunger, housing, healthcare, and education. Bath & Body Works is one of the world's leading specialty retailers and home to America's Favorite Fragrances. They offer a breadth of exclusive fashion fragrances, including the number one fragrance collection in America, Japanese Cherry Blossom; the number one selling 3-Wick Candle and the number one selling Hand Soap collection. They have more than 1,700 Bath & Body Works or White Barn stores across North America and online. Additionally, Bath & Body Works has 80 stores in more than 20 other countries operating under franchise, license and wholesale arrangements. Founded in 1947, Safelite AutoGlass is the largest auto glass specialist company in the United States with more than 720 locations nationwide. It specializes in windshield fixing. Whatever glass needs customers have, they can have their auto glass replaced or repaired by Safelite specialists. Some of the company's advantages include innovative technology, caring customer service, eco-friendly initiatives, customer-focused culture, and much more. Marzetti opened its doors in 1896, when Teresa Marzetti started her small Italian Restaurant in Columbus, Ohio. The restaurant is mostly famous for its salad dressings that can be found in groceries stores throughout the US. The T. Marzetti Company product family includes many brands such as: Marzetti(r) salad dressings and dips, New York Bakery(r) frozen breads and Sister Schubert's(r) homemade rolls. For 60 years, Worthington Industries has been North American's premier, value-added steel processor, providing customers with wide ranging capabilities, products and services for a variety of markets including automotive, construction and agriculture. This company is also the leading global supplier of pressure tanks and cylinders. Worthington Industries manufactures a host of pressure cylinder products for industrial gas and cryogenic applications, transportation and alternative fuel storage, oil and gas equipment, and consumer brand retail products, including Bernzomatic, Coleman and Balloon Time. Vantage Point Logistics is one of the leading freight management companies thar works with all of the major carriers such as FedEx, UPS, DHL and more. Vantage Point Logistics helps customers find the best rates for them. It also offers completely transparent pricing, showing customers exactly what they're paying for the shipping and charging them a flat rate for their services, regardless of the service level. As one of the largest universities in the United States, The Ohio State University is a leading research university and the model for Ohio's public higher education institutes. Founded in 1870 as a land-grant university, it consistently ranks as one of the top public universities in the United States. The Ohio State University's main campus is located in Columbus, and their regional campuses are located in Lima, Mansfield, Marion, Newark and Wooster. The Success Group is a public affairs and lobbying firm in Columbus, OH. The company's core competency is lobbying. It advocates for clients who have interests before the state legislature and Ohio's executive agencies. The Success Group, trusted by clients due to its political knowledge and experience, help its clients understand where they are, see where they need to go and build a strategy for success. Value Creation Partners, Inc., through its subsidiary, manufactures and distributes bakery products to in-store bakeries, retail and wholesale bakeries, and foodservice companies in North America. It manufactures laminated dough products, frozen baked cake products, frozen muffins, brownies, bars and specialty dessert products, cakes, breads, icings, fillings, batters, and frozen cookie dough. The company also distributes baking ingredients, such as flour, sugar, and shortening. Value Creation Partners, Inc. was founded in 1999 and is based in Columbus, Ohio.